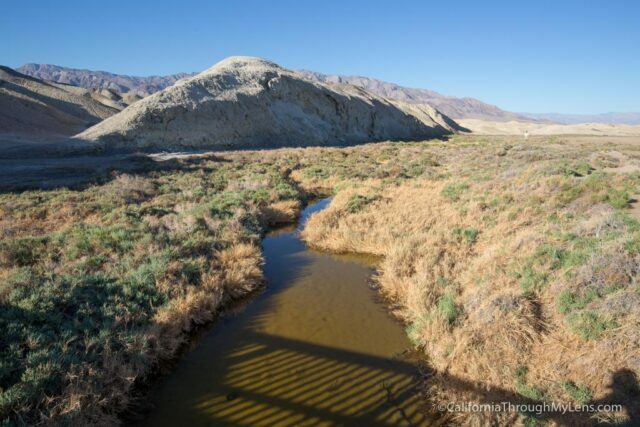 Little did I know before my time in Death Valley in 2016, but there is a creek that runs practically year-round in the park. Sure it was not flowing like what you would see in the Sierra’s or something, but it was in the heart of Death Valley, and it was water. 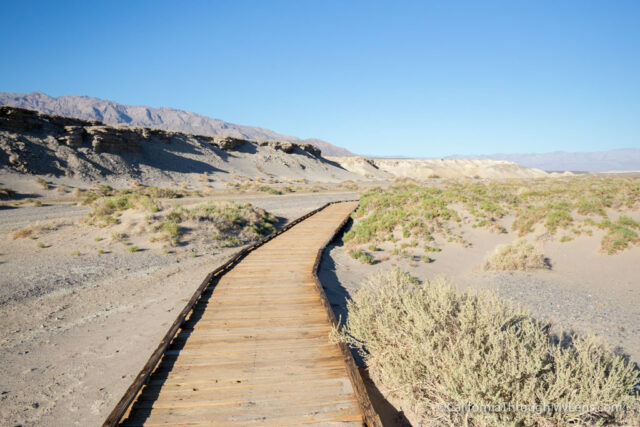 This short trail will take you along a boardwalk to the water, and if you are lucky you might even see the elusive pupfish that exists pretty much only in Death Valley. 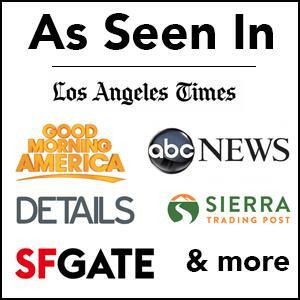 Here is all the info. 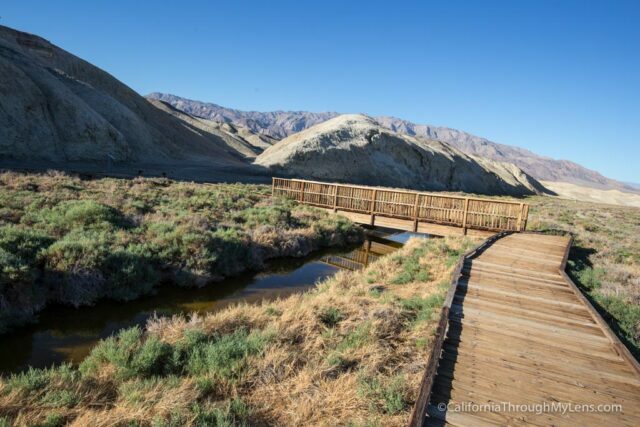 Salt Creek Interpretive Trail is located off Highway 190, which is the main highway that goes through Death Valley. 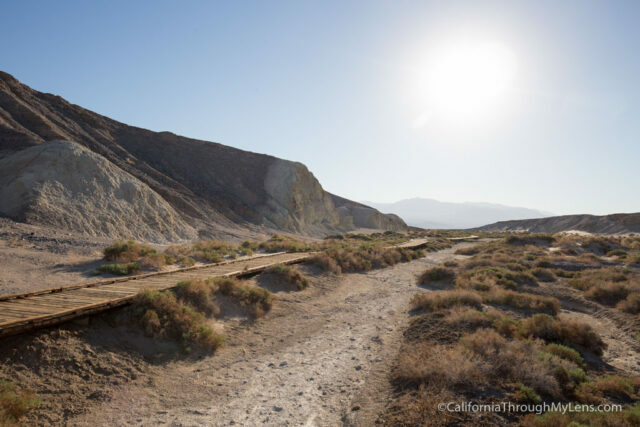 You will see signs for it about 13 miles North of Furnace Creek and will turn off to the left to access it. The 1.5-mile dirt road to the parking area was rough and washboard when I went, but it was still easily passable with a two wheel drive car. The parking lot was large, and there was only one other car there with us. 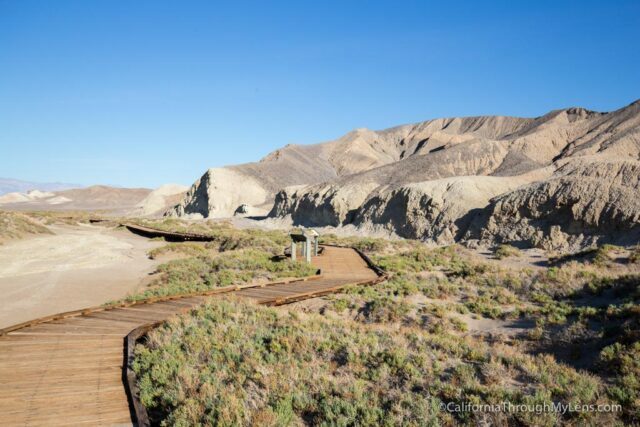 Setting out from the west side of the parking lot, the Salt Creek Interpretive Trail is along an elevated boardwalk for the entire time. The trail is flat and well-maintained as you walk along the wooden planks, looking down at the creek or lack thereof below. When I went, the entire front part was dry, which is why I assumed there would not be water, but as we got to the back where the turn around point is, that is where we found the water. 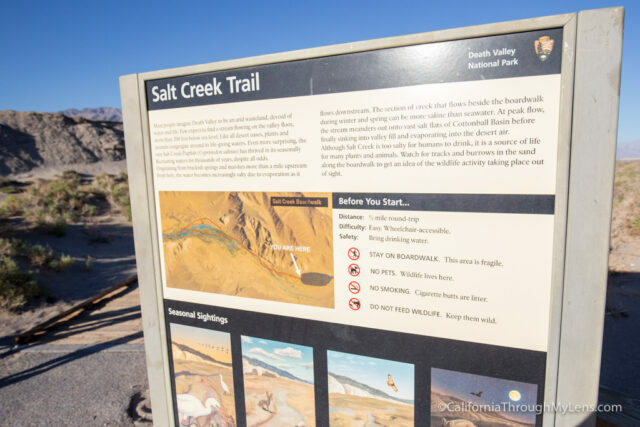 Along the way, there are information plaques that talk about the pupfish and the area and that shed a lot of light on this part of Death Valley for me. When we got to the water is was stagnate and a nice yellow color, but there was a decent amount of it. I looked up and down for pupfish since the water was clear but nothing was moving in it when I was there. I am sure the time of year and probably some other factors influence whether you will see any. 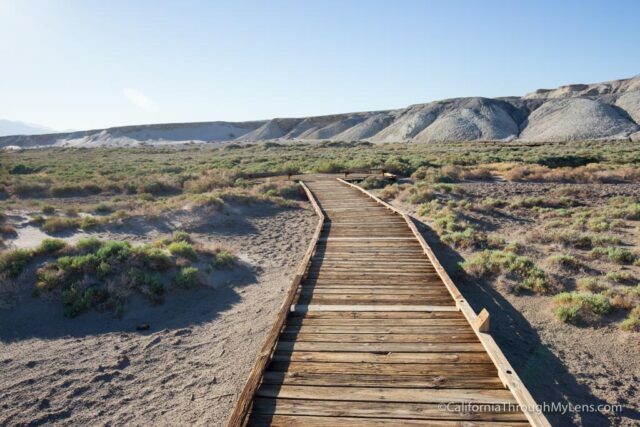 Even without seeing the fish though, this is still a fantastic trail in Death Valley. 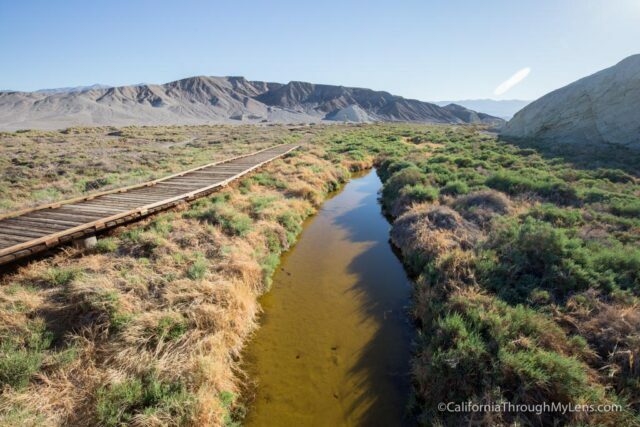 It is such a unique spot because it has water (Death Valley is known as the hottest place in the world). 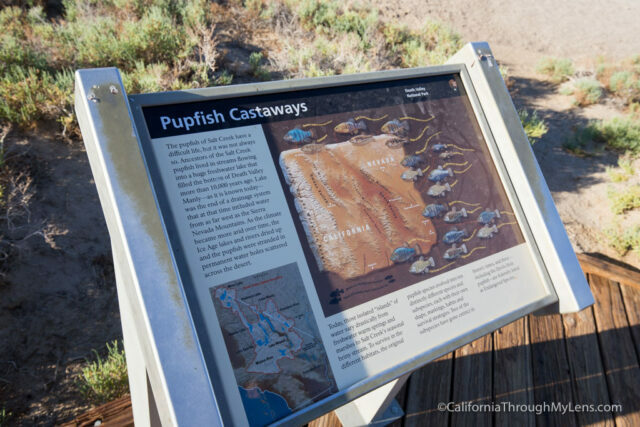 Be sure to add it to your list next time you are in the area and post a pupfish picture you take in the comments! 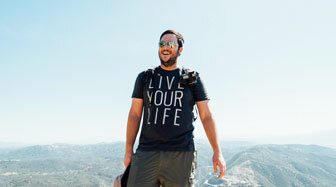 You can see a video on 24 hours in Death Valley below.